Holy Week is pretty much one of the biggest, fattest deals anywhere in Mexico. 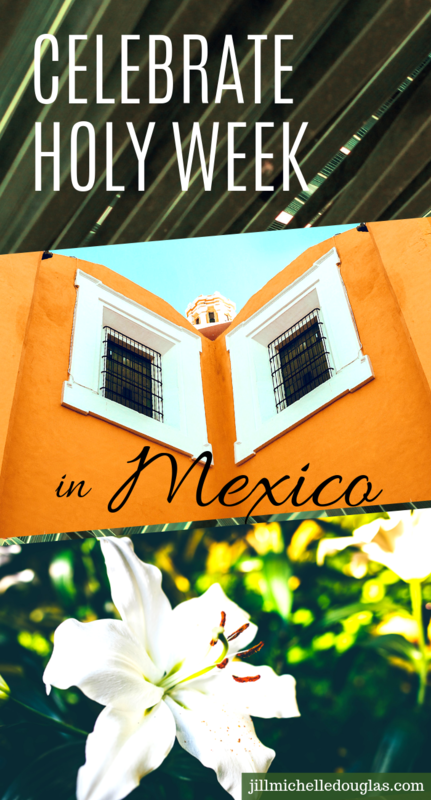 For those of us who aren’t fighting the crowds at the beach–well, even for those at the beach–what does one do to celebrate Holy Week in Mexico? Note: all these options are open to the general public. You do not need to be Catholic (or even any kind of Christian) to attend. However, do use good judgement when attending. These events are solemn, so keep quiet and be discreet while taking photos. Particularly on Thursday, if the Eucharist is out on display, please refrain from taking pictures of the host on display. Or people praying. But, other than that, join right in! 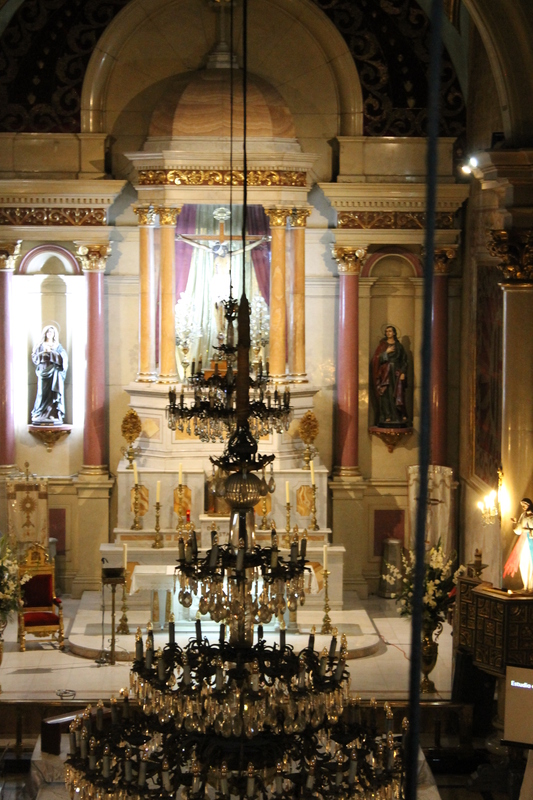 There is a lovely tradition of visiting seven churches on Holy Thursday. At first, I thought this was just a Mexican cultural quirk. Then my parish distributed a pamphlet last year, letting me know this is a tradition with serious, Biblical roots. THEN I did some crowd-sourcing this year and found out that it’s not just a Mexican tradition, but something that’s done in any Catholic community throughout the world! On the night Jesus was arrested, he got dragged around to a lot of places. So each stop on this pilgrimage commemorates each place Jesus visited that night. The first reminds us of Jesus praying in the Garden of Gethsemane (Luke 22:39-46). On the second stop, we read about Jesus being bound and send to Annas (John 18:19-22). Then Jesus was taken to Caiaphas, the High Priest (Matthew 26:63-65). After that, he was sent to go on trial before Pilate, the Roman governor (John 18:35-37). Pilate then sent him to see Herod (Luke 23:8-11), and Herod sent him back to Pilate (Matthew 27:22-26). Finally, Jesus is led to his crucifixion (Matthew 27:27-31). If you’re in the city of Saltillo, Coahuila, Mexico, I’ve got a great route to follow in the center of town. Granted, anyone doing this is free to visit any churches in any order. But, for convenience’s sake, this one starts at the top of the hill (Ojo de Agua), winds through downtown, and finally stops at the Church of Guadalupe. It’s all walkable, but it is a hike. To avoid climbing up that steep hill after hiking your way across downtown, do this with a friend. One parks at Guadalupe, then carpool to Ojo de Agua, so when you’re all done, the one with the car at Guadalupe can drive you back to Ojo de Agua. Unless you’re going for extra “pilgrimage points” for hiking all the way back uphill when you’re all done. You know–if such a thing as “pilgrimage points” exists, of course! That dark hole is the natural spring where Saltillo was founded! spectacular view of the city. While there, check out the spring (halfway down the front steps), and one of my favorite pictures of San Juan Diego (near the altar on the left side). On your way there or back, it’s worth stopping by the Lookout over Saltillo. And if you’re hiking down, you might as well wander through the Oro de Aguila neighborhood, and enjoy all the murals that cover the houses there. But while at the church, take some time to reflect on Jesus praying for himself and his disciples in the Garden of Gethsemane (Luke 22:39-46). 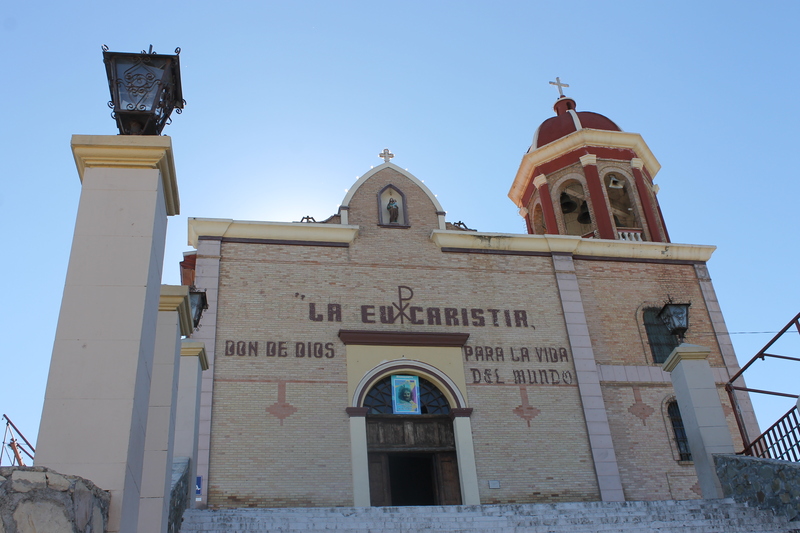 A bit of a downhill hike from Ojo de Agua is San Juan Nepomuceno, on the corner of Hidalgo and Escobedo. Take some time to check out murals while you’re there–those murals are what makes San Juan Nepomuceno worth a visit! Keep heading down the hill from San Juan Nepomuceno. Take a right on De la Fuente, and walk for two blocks. On the corner of De la Fuente and General Cepeda, you’ll be on the southwest corner of Plaza Ateno. 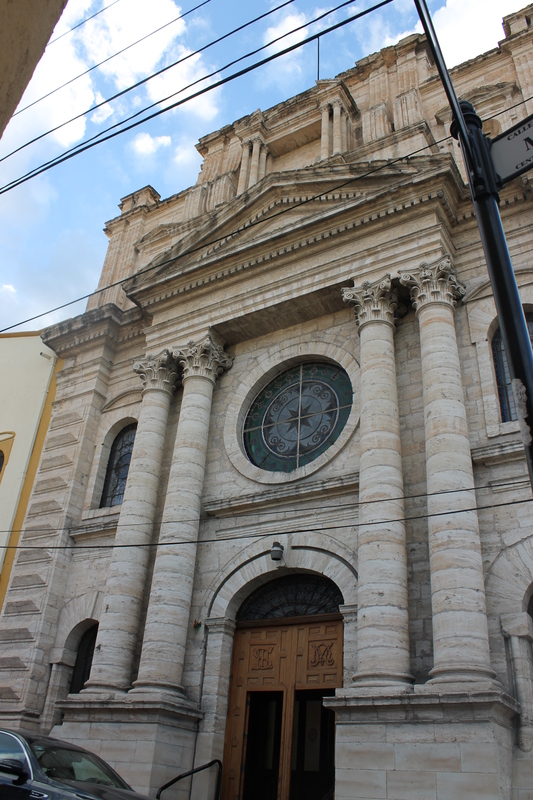 On the opposite corner sits the San Francisco Church. 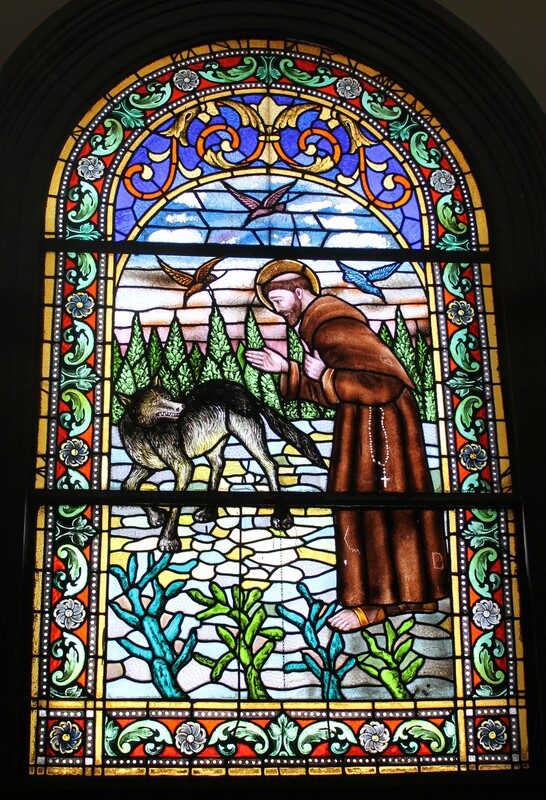 Try to get there while the sun is still up–the stained glass windows in this church are probably the best in Saltillo! While there, reflect on Jesus being tried before the Sanhedrin and the High Priest (Matthew 26:63-65). Looking for a slightly shorter pilgrimage? If the First Baptist Church (right next door) happens to be open, stop on in! Make it an ecumenical evening, as we’re all commemorating the same events this weekend. From San Francisco, it’s easy to see the domes of the cathedral. Head down Calle Juarez and–BOOM–you’re there. While there, reflect on Jesus’s first visit to Pilate (John 18:35-37). 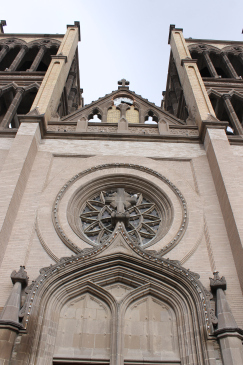 The doors to the left of the Cathedral go to the Holy Christ Chapel. Head on in, take in all the milagros on display on the walls by the altar area, and reflect on Jesus’s visit to Herod (Luke 23:8-11). While there, reflect on Jesus’s final trial before Pilate (Matthew 27:22-26). From San Esteban, walk down Guadalupe Victoria to the Alameda, turn left and walk along the north side of the Alameda (by the Normal School on Aldama), carefully cross Emilio Carranza (there’s a lot of traffic here–pay close attention to the traffic lights and only cross when it’s safe), then turn right, walk a block to Perez Trevino, and turn right and continue on Perez Trevino to the Sanctuario de Guadalupe. While walking all that distance, reflect on Jesus carrying his cross to his crucifixion (Matthew 27:27-31). If Jesus carrying his cross seems like a superhuman feat to reflect on, feel free to reflect on Mary accompanying Jesus on that road, giving us a great blueprint to follow, not only as Jesus’s mother, but as one of his disciples, too. Want to do a little more reading about this tradition? Click on the link here for more information! On Friday (often at 11, but this varies from parish to parish), churches will gather and pray over the stations of the cross–particular moments in Jesus’s walk to his crucifixion, either in the church or through the neighborhoods. There’s more information about this practice here (for the traditional version) and here for the scriptural version. Many, many towns have a Procession of Silence. If you really want to jump into Mexican Catholic culture (or just get a bird’s-eye view of it), respectfully attend a Procession of Silence. However–be warned!–they’re not for everyone. I’m Catholic myself, and they still kind of creep me out. Most of the procession is just like a funeral procession for Jesus. I’m totally OK with that. But in many cities, people dress up with hoods. Given my background as a gringa, Klan-style hoods hit a little too close to home. 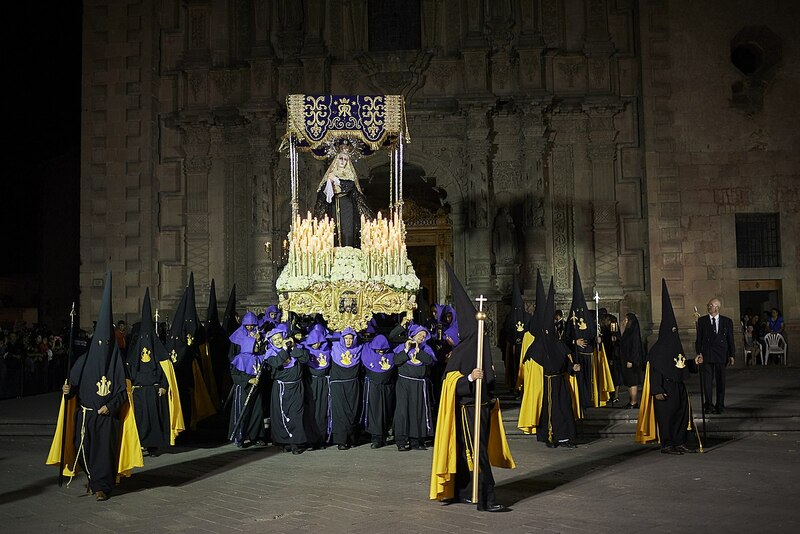 Granted, the tradition of these hoods goes waaaay back before the Klan (or even Christianity in America). But even thinking about that, those hoods then remind me of the Spanish Inquisition, which is another period I’d rather not dwell on. The Procession of Silence is something that can draw big crowds in a lot of cities. 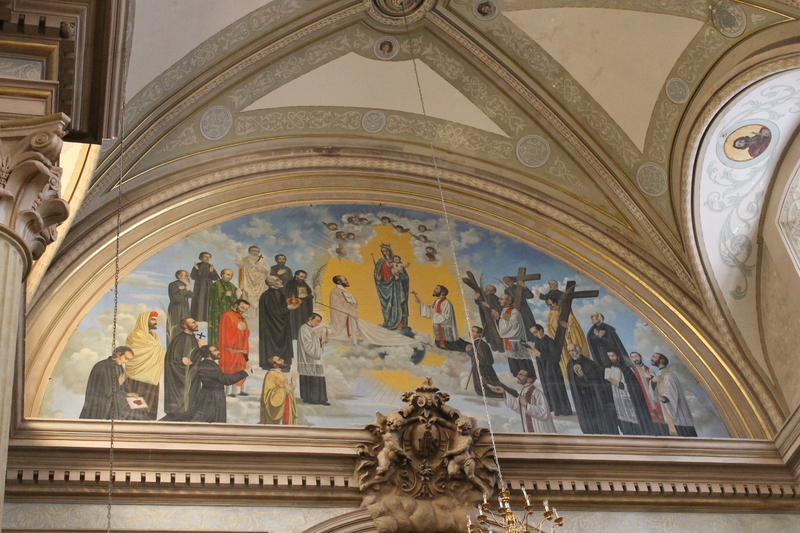 (If you go to San Luis Potosi for Holy Week, make sure you have have hotel reservations well in advance!) However, it’s not for everyone. If you’re into that, go for it! It’s worth witnessing once. But if you’d rather not, don’t worry–Holy Week isn’t over yet! 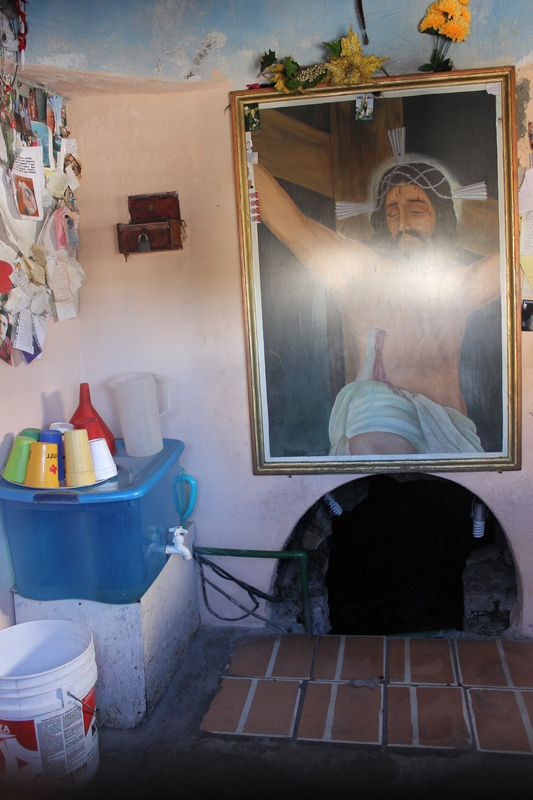 My first few Easters in Mexico, I was hugely disappointed by Easter celebrations here. After all, Good Friday is widely observed and a big, fat, hairy deal. So wouldn’t Easter Sunday be an even bigger deal? Yes, Jesus’s resurrection is every bit a big, fat hairy deal as his death. (They really go hand-in-hand.) But, like most spectacular celebrations in Mexico, Mexicans love to jump the gun and celebrate at midnight. OK, maybe that’s not a just Mexican thing, but a Catholic thing. Or sometimes it’s hard to separate the two! Easter is celebrated on Saturday night (usually around 9pm) with the Easter Vigil. It starts with a bonfire, y’all. I can’t really stress the importance that this bonfire had in me becoming Catholic. (Seriously not kidding.) Every church should celebrate Easter with a bonfire. After the bonfire–which is loaded with symbolism–everyone files into the church (or joins everyone else already sitting there and saving spaces) and we lauch into roughly a bazillion readings, starting with–literally–the dawn of time. Now that my Spanish can keep up with these, they are powerful, beautiful readings and reflections. However, at my first Easter Vigil, I was just lost. Oh, and the church is all dark during this time, so I was honestly lost in the darkness. But then they get to the Gospel readings and the lights come on, and it’s just breathtaking–even when one’s Spanish can’t keep up! So that is why Easter Sunday seems a bit anti-climatic in Mexico. We already celebrated on Saturday night! If you’re interested in joining in, check with your local parish (many have offices with mostly regular office hours) and they’ll be happy to let you know when things are happening this weekend! Photo of palms courtesy of Valentin Salja on Unsplash. 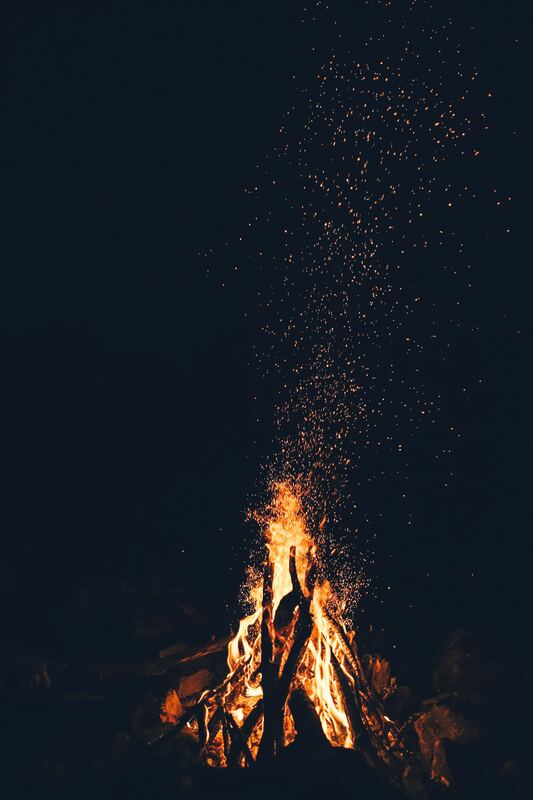 Photo of bonfire courtesy of Toa Heftiba on Unsplash. Procession of Silence photos courtesy of David Tottto on WikiCommons. 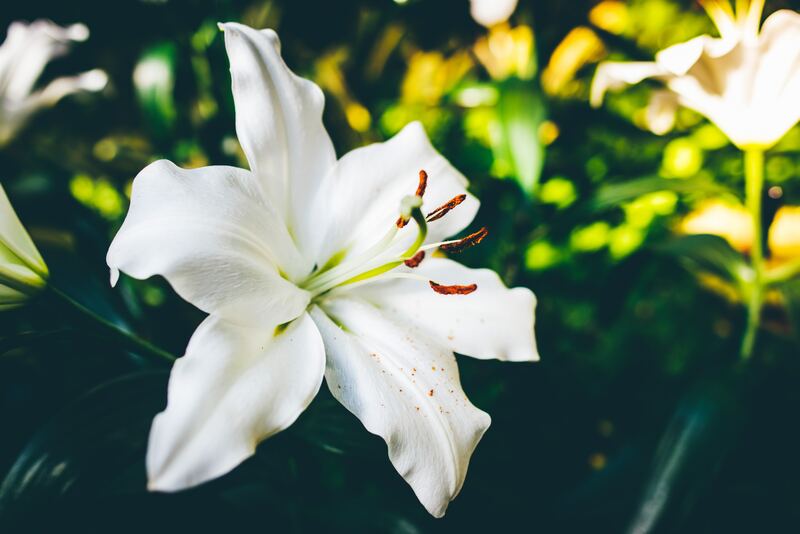 White Lily photo courtesy of Matt on Unsplash. A birthday party in Mexico just isn´t a birthday party, unless a piñata is beaten to a pulp. In fact, the word piñata is often an abbreviated term for birthday party. “Ceci is going to a piñata tomorrow” is a legitimate way to say that Ceci is going to a birthday party. Because, after all, what is the point of a birthday party without the piñata? Among other places, piñatas are sold at the market downtown and any materias primas store. (For those who haven´t been to a materia prima store, that´s a whole cultural experience in itself! The Cuellar stores on the Periferico, or El Doblón on Eulalio Gutierrez are great examples. The first time I wandered through one, I thought I had died and gone to candy heaven.) However, in my experience, the best place to get a piñata in Saltillo is on the corner of Luis Corona and Matamoros, downtown. Four or five family-owned stores dot the corner of Corona and Matamoros. Piñatas are made right there, and they cost anywhere from $75 to $160, depending on the size. Yes, even those freakishly huge, larger-than-the-birthday-boy piñatas can cost $150. Now, my birthday girl had to scan the stores, as she hates to hit anything that has a face. Almost all piñatas have a face. Fortunately, her birthday is close to Christmas, and one store still had two traditional star piñatas left over from Christmas. Traditionally, the piñata is a seven-pointed star. The seven points represent the seven deadly sins. When the piñata is broken, the children are showered with the rewards of resisting evil. What the symbolism becomes when a princess or superhero is beaten to death, I´m not sure. But kids (over the age of 4) sure love it! The birthday parties at our house are usually a bit different from typical Mexican birthday parties, given cultural norms that I either don´t want to participate in or don´t realize exist. But we do always have a piñata. This is the first of a series “The Best of Saltillo”. Know of a great place for . . . well, basically anything? Share with us! Send in your recommendation with at least 2 photos, an address or good directions and as many specific details as would be helpful for others to saltilloexpats@gmail.com. The Day of the Dead–what is it all about? 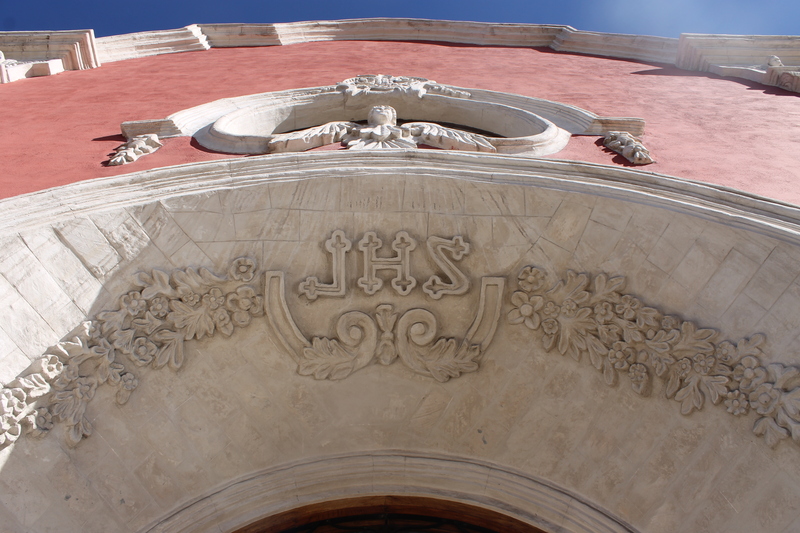 of Culture building, on the corner of Juarez and Hidalgo, right across the street from the Casino de Saltillo. Or Casa Purcell. 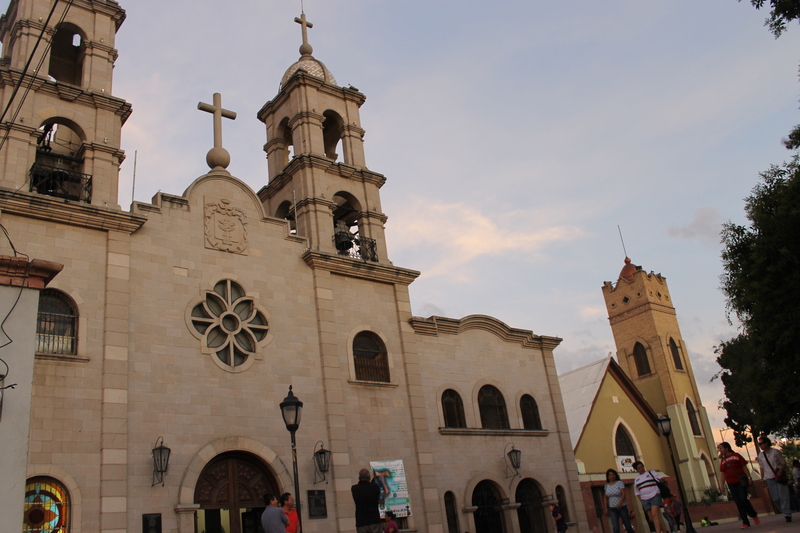 Or the art museum that´s on Juarez and General Cepeda, about 2 blocks behind the cathedral. Museums in general are just a great place to find Day of the Dead altars. In years past, many of the city high schools sent students to make altars at the Alameda during the last week of October. I haven´t seen that in a few years, though. The Katrina Museum draws in a huge crowd this time of year, and for good reason. A visit there is a great way to get an understanding on the holiday. So, off I went to the cemetery, to be a fly on the wall. an done. Many bus routes forgo their normal routes and instead, list the cemeteries on their windshields where they´ll leave passengers. Fortunately, the Santiago Cem etery (just past the Universitary Hospital on Calz. Francisco I. Madero) is within walking distance for me. If one wants to drive–good luck. From what I have seen, parking is nearly impossible. And the traffic is horrible on these days past any cemetary, so when at all possible, rearrange normal routes to avoid driving past cemeteries on the way to work, the store, etc. Outside of every cemetery are numerous flower vendors, further blocking traffic. Unless, one is looking to buy flowers. Then they´re a boon. The cemetery was crowded. Through some aisles we inched along, rather processional-like. However, the mood was not terribly solemn. Families were simply there to clean up their family members´ graves, put some flowers on them, and to say a prayer for their dearly departed. Despite my hesitation to intrude on strangers´ solemnities, it turned out to be an afternoon well spent. Even though I didn´t know anyone buried in the Santiago Cemetery, that afternoon provided me some precious time to reflect on people I´ve lost–healthy reflections that we tend to run away from in US culture. In fact, this annual national remembrance for those who´ve passed away is no doubt hugely beneficial for most families, providing a regular time to remember those we´ve lost, reflect on our grief, and to heal. When I joined total strangers in the Santiago Cemetery, the experience turned out to be more than a cultural observation. The experience gave me a chance to participate in a healthy time of reflection. 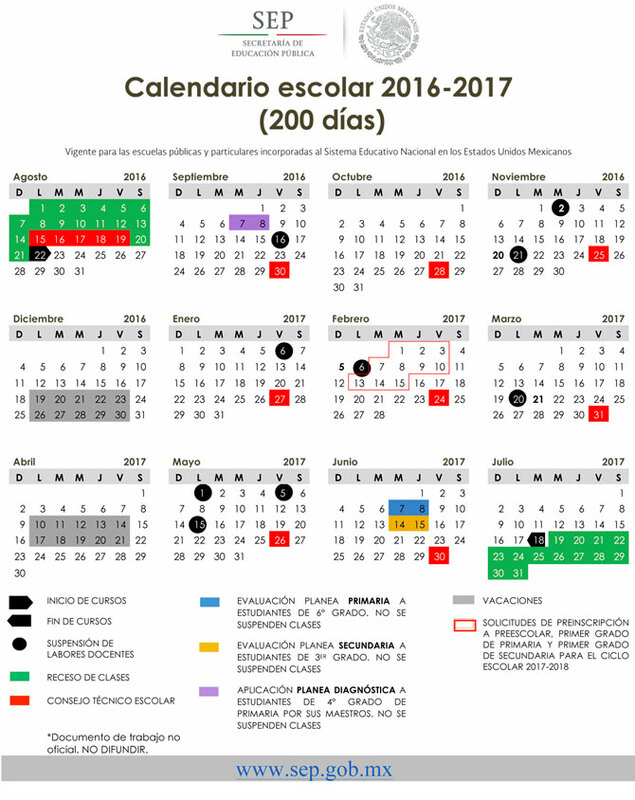 Having learned the value of such a holiday, it´s now a day that I´ll continue to set aside in my calendar from here on out. Looking for Day of the Dead activities? The Katrina Museum is sponsoring a few ghost story tours throughout the city, and the museum will be open for most of the Halloween/Day of the Dead weekend. Check out the calendar for dates, times, and locations. And if you´re out by the Katrina Museum, get hungry, and want to keep to the Halloween/Day of the Dead theme, stop in at Monster Café, on the corner of Allende and Mariano Escobedo. The owners are some of our most enthusiastic followers! Most truths that are obvious don´t need to be learned, right? And yet, every once in awhile, the obvious can smack me up alongside the head. No, the change at the grocery store is for the baggers. They all work on a volunteer basis– baggers are not paid by the store. It used to be a job reserved for school kids. The job market in Mexico being what it is, it´s next to impossible for students to get jobs. The students that work as baggers have to have very good grades and they have to prove that they are maintaining those grades. However, by only “hiring” students, baggers were thin on the ground during school hours. Which is why we now see an army of senior citizens manning the bagging counters. These senior citizens have been referred for the job though government social services. They need the job, because their government pension either isn´t making ends meet or is simply nonexistent. Therefore, whenever I show up at the grocery store without change and accidentally stiff the baggers, I feel terrible. In many parking lots, men will rush up to help load the groceries into the car and to take the cart back to the store. The parking lot attendants may be on the official roster of the grocery store´s baggers, or they may just hustle the parking lot, looking to pick up a few tips. After already tipping the baggers, I began to resent tipping the parking lot attendants, as well. It came to the point that I´d clutch onto the shopping cart in the parking lot and start yelling, “NO–I DON´T NEED ANY HELP!” as soon as I saw an attendant coming in my direction. Then, one day when walking down Guadalupe Victoria, perspective smacked me up alongside the head. On any given day, there are a number of people playing accordion, sitting in their wheelchairs, or holding babies and asking for handouts between the Alameda and the Plaza de Armas. Now, I´ve heard all the pros and cons about why people should or shouldn´t give handouts. Those stories wouldn´t be spread so widely if there wasn´t a bit of truth to them. But sometimes I give handouts. Sometimes I don´t. I´m not looking for judgement here. But on this particular day, I had quite a bit of spare change, and happily tossed a bit into someone´s cup. That was the difference–I happily gave the panhandler the change, whereas a few days before I had been grumbling about the cart attendant. Wait a minute! That cart attendant was providing me with a service and working for his tip. While there may be many reasons for the panhandler to be on the sidewalk, suffice it to say that she was not working. My attitude transformed dramatically when this reality dawned on me. I no longer grumble about the cart attendants. Instead of cheefully tossing coins to the lady on the sidewalk, I now happily–without the least bit of resentment–tip the baggers and cart attendants. And maybe I do still toss some coins in the panhandler´s cup every now and again. But more often, I´m saving them up so I can tip the baggers and cart attendants well.